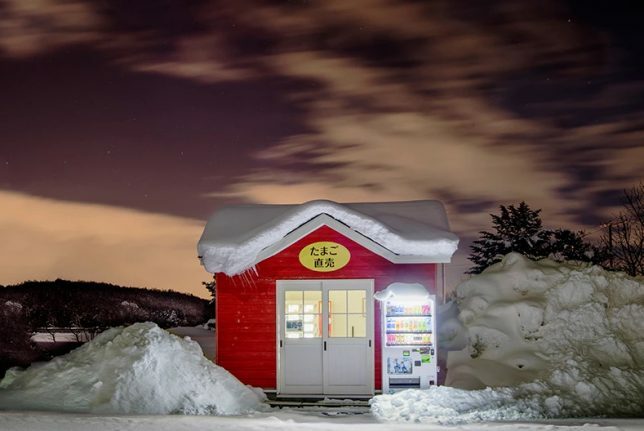 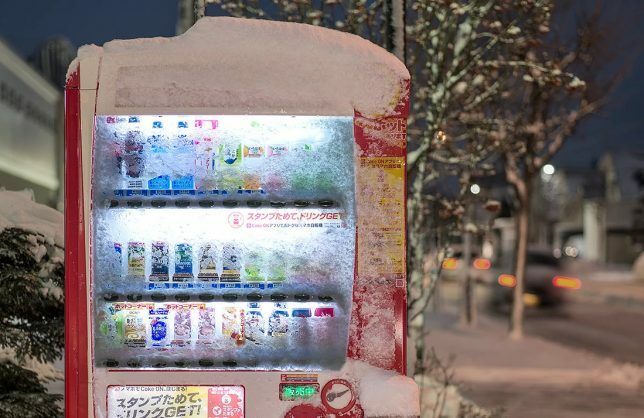 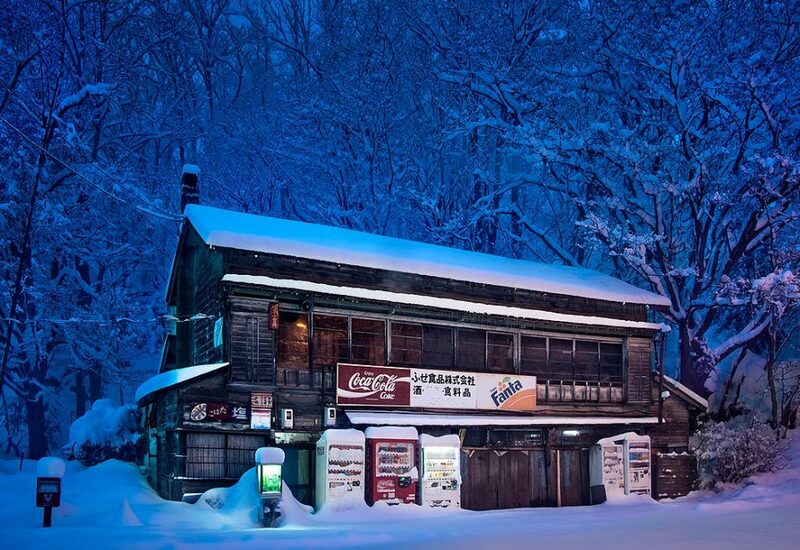 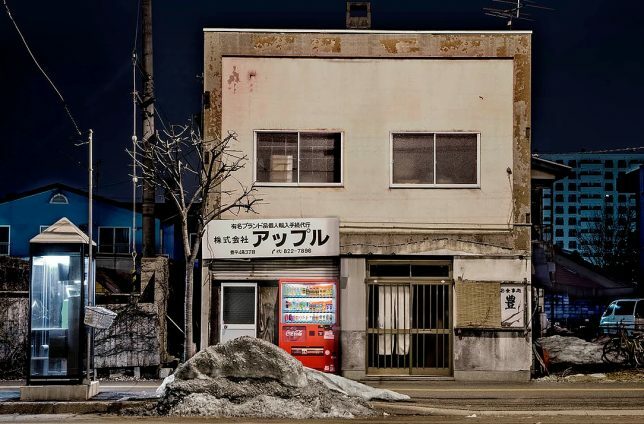 It started on a cold and snowy night when a wandering Japanese photographer became fascinated by the way the white flakes were piling up on an ordinary vending machine on the side of a road. 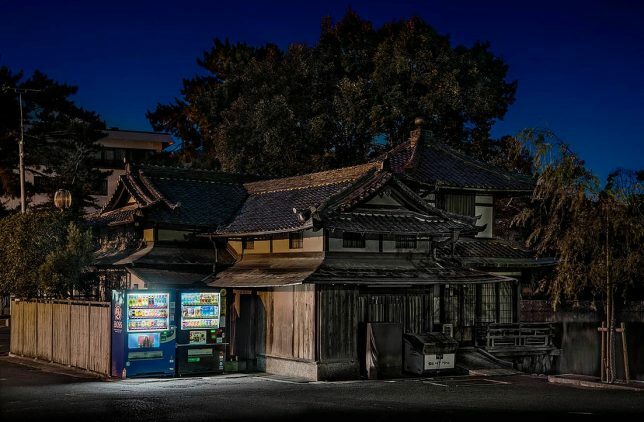 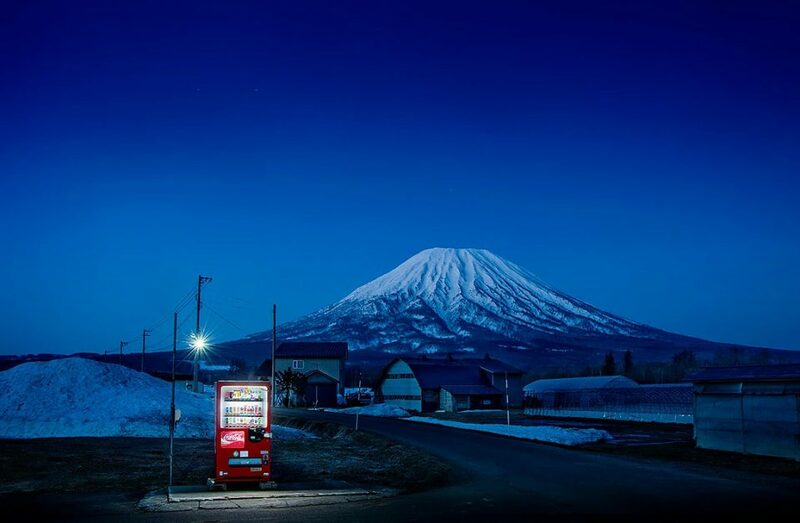 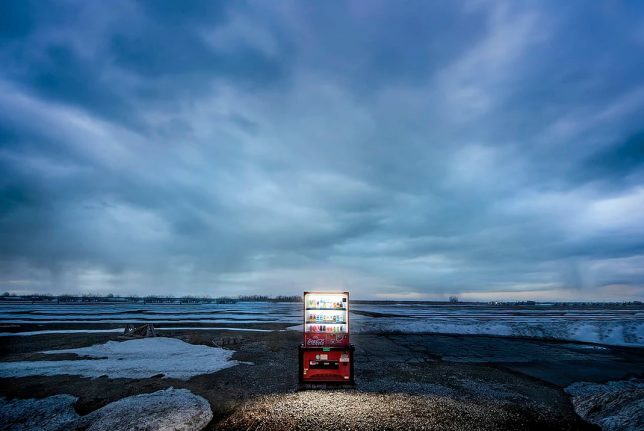 Eiji Ohashi began to document these machines, set against the rural backdrops and natural landscapes of Japan, a country with the highest ratio of vending machines to humans in the world (1 to 23). 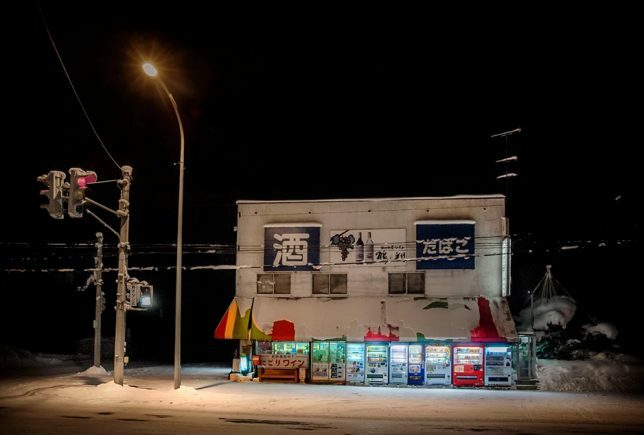 For Ohashi and others, these devices are symbols of warmth and light in the long dark winters of Hokkaido, Japan’s cold north island. 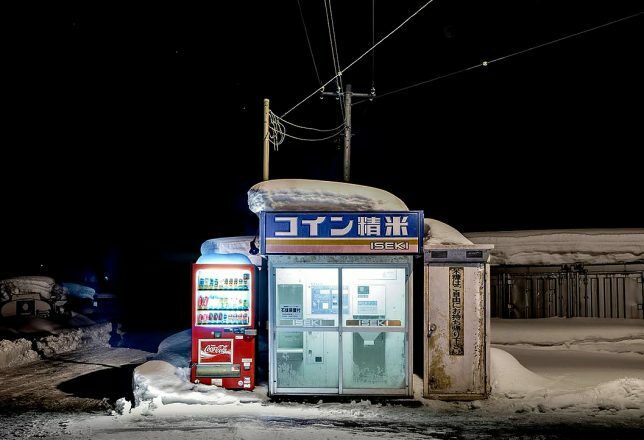 They offer hot drinks to offset the nighttime chill. 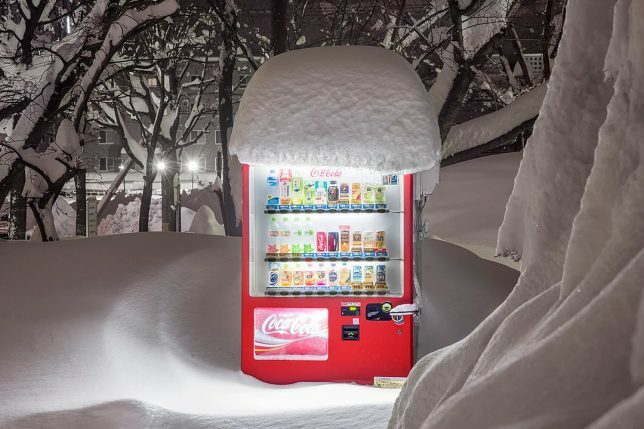 Japan’s famously low crime rate likely contributes to this vending machine culture as well, helping them to survive free of destruction or vandalism even in remote areas. 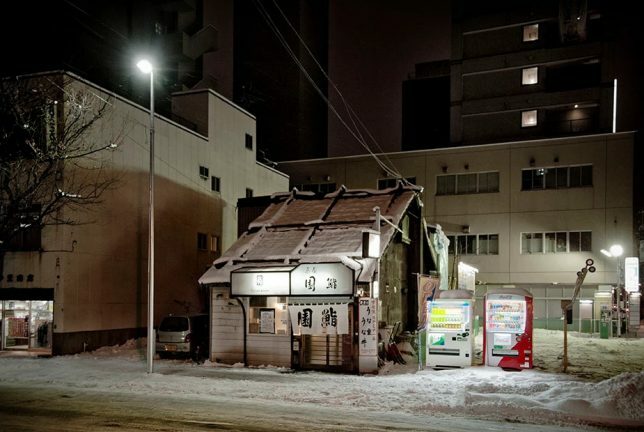 Indeed, they stand out as bright and modern in many contexts. 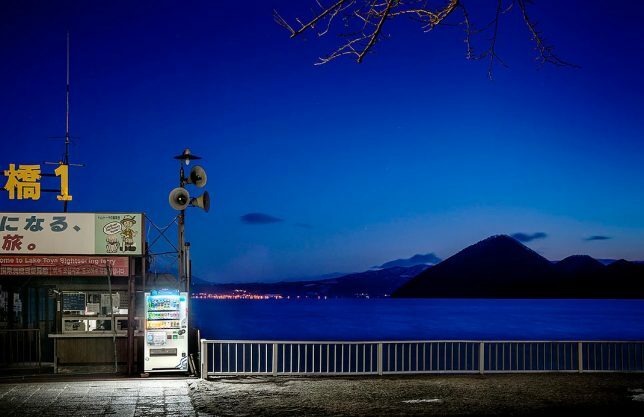 Ohashi frames his curious subjects expertly against ancient architecture, vernacular structures, scenic mountains and vast bodies of still water.